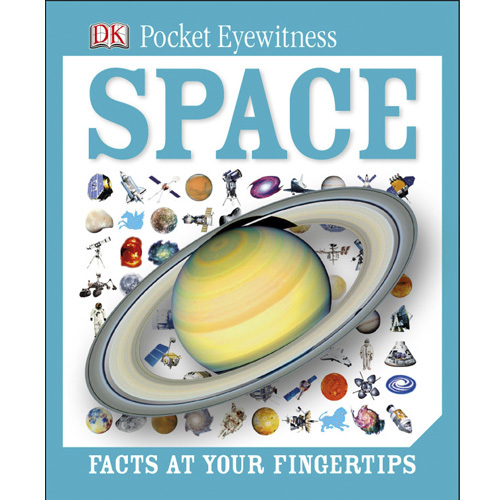 Get fast facts at your fingertips with this DK Pocket Eyewitness Space book. Packed with bite-sized chunks of information that will encourage and inform even the most reluctant readers. Explore the Universe; learn about the planets, moons and stars of our Solar System and far beyond. With 160 pages of amazing encyclopedic stats and genius gem facts to provide extra wow, DK Pocket Eyewitness Space will take you on a journey of spacecraft, manned Moon missions and robot space rovers. Plus you can learn all about the telescopes that let us see deep into space, perfect for any budding astronaut or scientist. The series that packs a world of knowledge into your pocket.